There are girls who swear by their Chanel 2.55s, and while I agree that it's an exquisite bag, I have to say I'll take a Lady Dior any day. 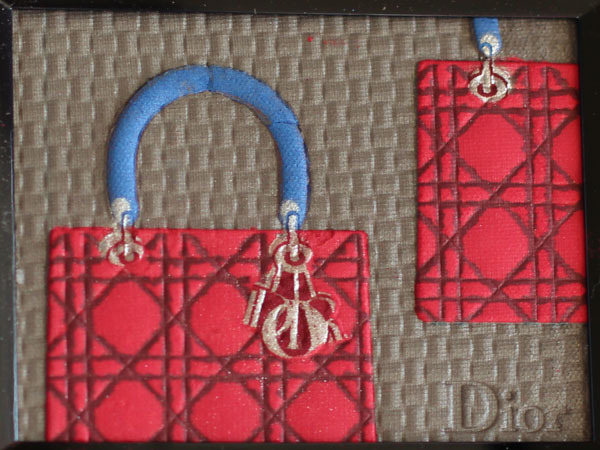 When I found out Dior was producing a palette that pays homage to their iconic bag, I decided it shall be my first collector's item. That said, as much as I want to, I will not be swatching this just yet. I couldn't bear ruining any part of the pattern. 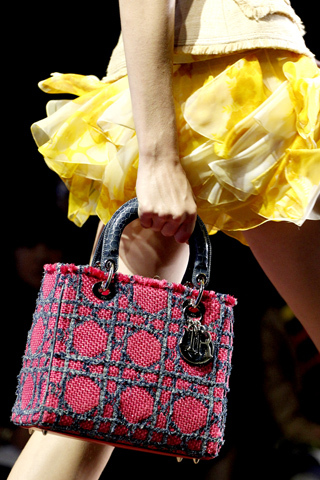 The Lady Dior bag in the palette is from the Spring 2011 runway show. 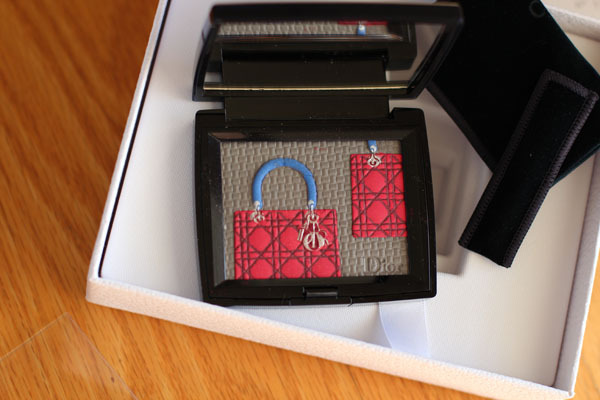 The Lady Dior Palette ($90) is exclusive to Saks in extremely limited quantities. Its so adorable! I've never heard of or seen this palette before. 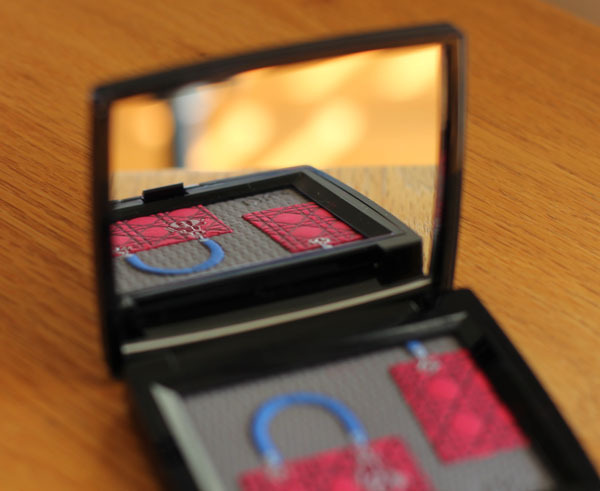 Do you keep your collectors items among the rest of your makeup? This is so beautiful! I know you will probably never use it...but oh that taupe color looks amazing! That is so beautiful! I couldn't bear to use it either. Can I ask what its actual purpose is supposed to be? It has taupe, red, and blue... I can't figure it out! I don't think I could ever touch it! @sam haha I can't afford the bag, so I get the palette! @J. I think it's meant to be a collector's item (not used), but if I have to hazard a guess, the red can be used as blush and taupe as eyeshadow. The blue is too tiny for you to pick it up specifically with a brush anyway. OMG!!! That's sooooo pretty. I think I need it. Thanks for sharing. 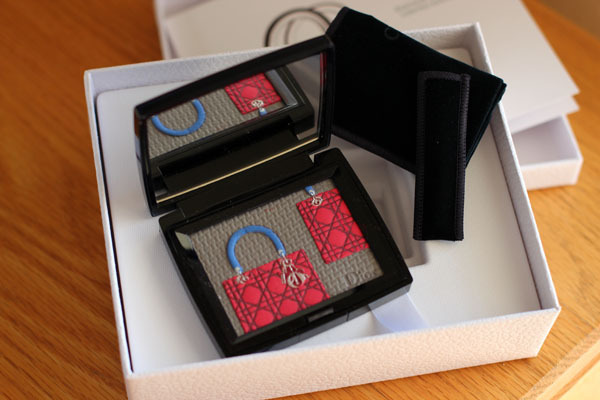 that is unspeakably exquisite. i'd be faced with such a horrible problem - not use it to preserve the pattern forever, which would mean that it would get wasted, or just use it so that it could be used for its original purpose. i'm actually kind of glad that i don't own it now!